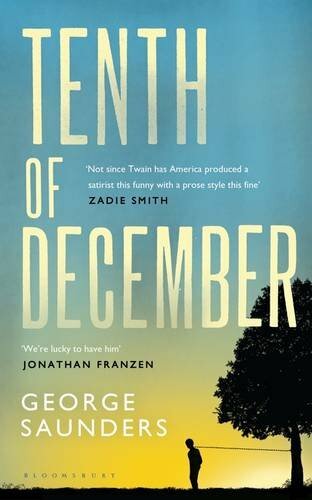 by George Saunders | Literature & Fiction | This book has not been rated. Welcome to BookCrossing, especially if it is your first time here. I am really pleased that you found this book. It is a gift from me to you. If you wish you may hold on to it, but I hope that you will pass it on, either to a friend or loved one, or by leaving it to be found again. That way our book will be on an adventurous journey which we can follow as it gets passed along. In the meantime, did you read the book? What did you think of it? Also, what do you think of the idea of BookCrossing? Feel free to write any thoughts when you come back to make a journal entry for this book. While you are here, why not take a look around our website? It is completely free to register, it is safe and spam free and, if you do join, you will receive email alerts when this book is found again. I would be delighted if you wish to mention me, karen07814 , as the member who introduced you. If you're in Colchester bookcrossers meet up once a month on the third Thursday at 7pm. Venue Fox Pub Layer de la Haye. No fixed book to read, a pile of books in the middle of the table to choose from to take home. Somebody will have an opinion on any book (if you want the opinion) Feel free to come along or pm me for more details.